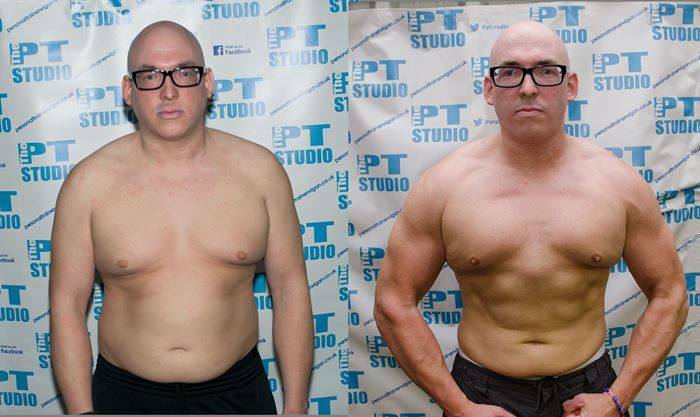 I joined The PT Studio in Spring 2014 because I realised I needed a lifestyle change. I was overweight and very unfit. I signed up for the 12 week challenge after seeing some of my friends do well on the previous one. My initial worries were that I would be to unfit and make an idiot of myself but as soon as I realised there was a lot of people in the same position as me. After the initial shock, I soon got into it and can honestly say I enjoyed every minute.